Hearing loss can affect people of all ages, from newborns to the elderly. In older children and adults, hearing loss is often easier to identify. But in infants and young children, it may be more difficult to recognize. Below are some of the common signs associated with hearing loss in both babies and toddlers/young children. 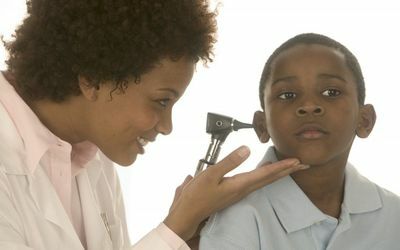 If you suspect your child may have hearing loss, contact the child’s pediatrician or a pediatric audiologist (hearing specialist) immediately for a hearing evaluation. Even if your child has passed a hearing screening before, it is important to have another check performed if your child is exhibiting some (or multiple) of the signs listed above. Untreated hearing loss can lead to developmental delays and can also have emotional and behavioral side effects. In order for a child with hearing loss to reach their full potential, early diagnosis and implementation of services and treatment is key. Don’t wait to schedule a consultation if needed!